Product Description: The Kabooti seat cushion is a comfortable, all-day seating solution with donut hole and coccyx relief areas. Ergonomic design provides relief for a variety of conditions. 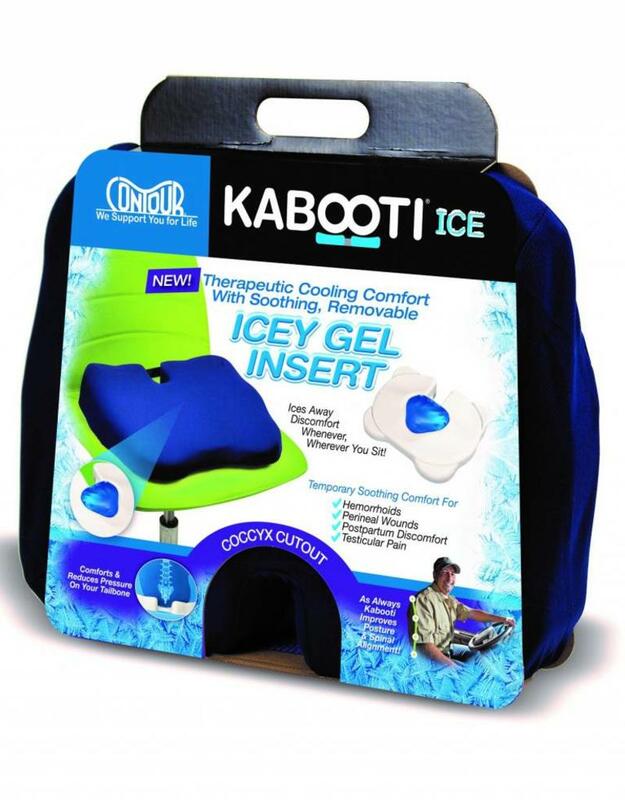 Soothes and relieve discomfort 100% naturally when you combine the Kabooti with the exclusive, specifically designed gel pack. An ideal solution for cooling and comforting hemorrhoids, testicular pain, postpartum discomfort and more! 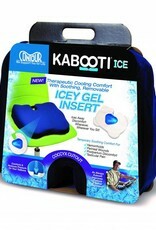 The Kabooti’s wedge shape and ergonomic design contours to comfortably provide all-day support. Ships with a discreet cover in your choice of Blue or Grey!